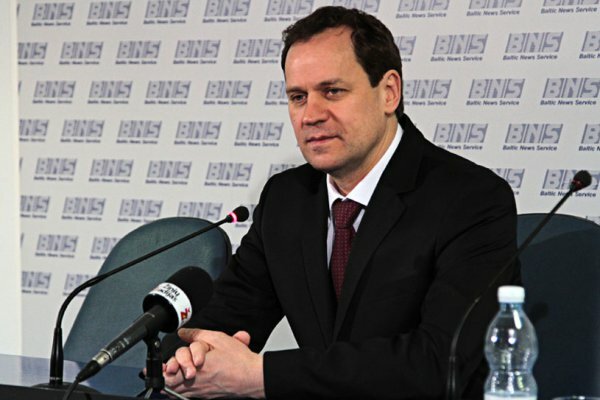 The increasing voters’ support of the Electoral Action of Poles in Lithuania and the Russian Alliance “Tomaszewski’s Bloc” coalition is the result of the honest work – assessed the leader of the Electoral Action of Poles in Lithuania and the Member of European Parliament Waldemar Tomaszewski. “During this elections, we repeated the very good result from 2011, and we did even better. Generally, we received about 90 thousand votes, which constituted around 8% of the all votes in Lithuania. During the previous elections, we received 6,3% of support and had 65 councillors in local governments (the Electoral Action of Poles in Lithuania – 61, the Russian Alliance – 4). Now, we are going to have 70 councillors in total (the Electoral Action of Poles in Lithuania – 64, the Russian Alliance – 6)” – said the leader of the Electoral Action of Poles in Lithuania and the Member of European Parliament Waldemar Tomaszewski during the Monday press conference. The Electoral Action of Poles in Lithuania and the Russian Alliance “Tomaszewski’s Bloc” coalition in the Šalčininkai District local government won 20 out of the total 24 seats in the Council, and in the Vilnius District 20 out of the total 30 seats in the city council. The Electoral Action of Poles in Lithuania and the Russian Alliance “Tomaszewski’s Bloc” coalition achieved a great success in Vilnius, where it took second place according to the number of votes, securing 10 seats in the city council. In the Trakai District and Švenčionys District local governments, in each of them the coalition won 5 seats in the city council, in Klaipėda – 4 and in Visaginas – 3. “Two of our candidates for the position of mayor won after the first round of voting. In the Šalčininkai District, Zdzisław Palewicz won about 80% of votes; and in the Vilnius District, Maria Rekść received over 60% of votes” – said Tomaszewski. He added that other candidates for the position of mayor from the “Tomaszewski’s Bloc” also did well during the elections. Only few hundred votes made Zbigniew Jedziński lose his fight for the second place in the Švenčionys District. Tomaszewski also was proud about his results as a candidate for the mayor of Vilnius, since he managed to take third place, winning 17, 25% of votes, which was only one per cent less than the current mayor of Vilnius Arturas Zuokas achieved. He added that, comparing with the previous elections, the Electoral Action of Poles in Lithuania improved their results in Vilnius. “During the previous elections in Vilnius, we won 15% of votes; during the last year’s elections to the European Parliament, we won 15, 7% of votes; and now, we won 17,2%. It is a good tendency and the growing support. People appreciate the honest work of our representatives, and more and more people vote for our party and coalition” – pointed out the leader of the Electoral Action of Poles in Lithuania. The conference featuring the leader of the Electoral Action of Poles in Lithuania attracted the great interest of the Lithuanian media, which were impressed by such good results of the Poles and Russians coalition. Asked about his opinion about the fact that Renata Cytacka won third place in the parliamentary by-elections, which took place in the metropolitan district Žirmūnai, Tomaszewski said it was the good result; since during the parliamentary elections in 2012 Cytacja won fourth place. “People appreciate our work, our program, and the fact that we are the only parliamentary party that has never been involved in any corruption scandals” – pointed out Tomaszewski. He added that not only national minorities, but also Lithuanians vote for the Electoral Action of Poles in Lithuania and the Russian Alliance coalition, since they appreciate the honest work of those parties, which are the example of the honest politics. “We thank all the people who voted for the Electoral Action of Poles in Lithuania and the Russian Alliance coalition, and all those who worked during this elections” – thanked Tomaszewski. “It is important not only to win votes and seats in the city council, but also to win fairly. That is what we do. I encourage other parties to follow the example of our representatives, campaign workers and candidates” – said the leader of the Electoral Action of Poles in Lithuania.